You, our volunteers, and the future homeowners you build alongside are the action heroes of the Habitat story. A family works with Habitat and works hard to perform their sweat equity. Volunteering with Habitat offers them a hand up, the side-by-side support that so many families need. Habitat sets the stage for you and future homeowners to come together, to build and to have a truly transformative experience — one that has a lasting and tangible outcome. Build sites are where we build homes, friendships, and bonds. ​Every single one of us deserves a fair shot - because we are all humans. Since our founding in 1985, more than 270 individuals and families have realized their dream of safe, affordable homeownership and this has only been possible because of the hard work and consistent dedication of community volunteers. For individuals interested in a one-time Habitat project, or just volunteering occasionally. Don’t have construction experience? Don’t worry, you’re not alone. The vast majority of our volunteers are unskilled. We have a site supervisor on each construction site who will give you instructions and help you get started. Time Commitment: As little or as often as you would like. 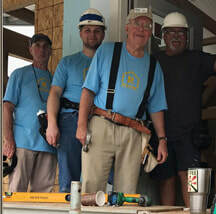 Crew Leaders assist Habitat staff in leading volunteers in construction tasks on site. Crew Leaders will lead small groups of 4-5 volunteers in a particular task. When you host a site with Habitat you will spend several hours on a construction site greeting volunteers, assisting with morning sign-in, tool distribution, and Habitat education. Afterward, you are welcome to grab a hardhat and the tool of the day to help a deserving family build their home. 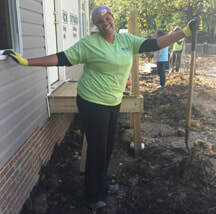 From new builds to rehabbing existing homes, Habitat groups on the work site get things done! Our group days fill up quickly! Register your group and view our upcoming build days on our Volunteer Calendar page. *please note: Habitat relies on significant financial support from individuals, businesses, and organizations to fund projects and create volunteer opportunities. Depending on project needs, your group may be put on a construction wait list until space is available. If your team is placed on a wait list, you may want to consider bringing funding to speed up your time on the wait list and help create future volunteer opportunities. Help us build more homes in the Midlands - volunteer at our ReStore! By donating your time, you can help us put 96 cents of every dollar towards building hope in the Midlands and divert tons of waste from the landfills. To volunteer at the ReStore, check out our ReStore Volunteer Calendar. Age Restrictions: the minimum age to volunteer at the ReStore is 14. There are task restrictions for volunteers under the age of 18 and they must submit a signed Minor Release Form. For questions about volunteering at the ReStore or completing an hour requirement, please contact the ReStore Volunteer Coordinator: volunteer@habitatcsc.org or by phone: 803-217-3212. 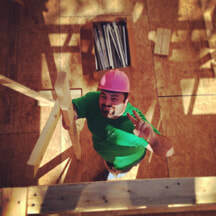 Volunteers are critical to Habitat’s success! At our ReStore we have lots of opportunities for individuals and groups. From helping us unload donations to getting items on the sales floor to helping staff with special projects, volunteers like YOU help us put 96 cents of every dollar back towards building homes, community, and hope in the Midlands. Help us make the ReStore a fun place to shop! Enjoy a friendly chat with customers and organize the sales floor to keep the sales going. We’re looking for folks who like to interact with people throughout the day and feel comfortable running a cash register. If this sounds like you, we need you! You will help handling incoming phone calls, make confirmation calls, conduct donor surveys, and enter information in Excel so that we can make sure we are all doing our best to help families help themselves. When you keep the donations rolling in by unloading our donation truck and get those items on the sales floor, you directly help families in need of a decent, affordable place to live. Are you handy at putting broken items back together? Help us give some of our donations some TLC before they go on the floor - every sale matters to the families who partner with Habitat for Humanity! From knick nacks to pots and pans, we need help sorting through all of the great, small donations we get every day. Every little thing makes a big difference toward improving our communities with a hand up, not a hand out. Individuals looking to complete required hours for a class or organizational requirement, Pre-Trial Intervention or other court ordered hours are welcome to volunteer at the ReStore! In order to start completing your hours, please go to our ReStore Volunteer Calendar, register as a new volunteer and sign-up to attend a “Community Service Orientation”. Once you complete this orientation, you will be able to start completing your hours. 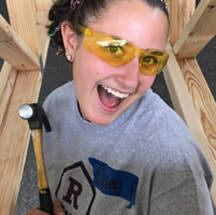 Group volunteer opportunities are a great way to get your office, school, church, or club involved with Habitat and have fun with other people! There are a variety of Group volunteer opportunities at the ReStore. The ReStore is open Tuesday – Saturday and accepts groups during its hours of operation. To see our upcoming events, dedication ceremonies, and committee interest meetings, you can view our Volunteer Calendar. 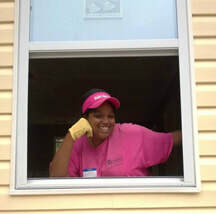 For questions about youth, or the other opportunities, please contact April Epting at april.volunteer@habitatcsc.org. Every action helps and there are so many things to be accomplished in various departments, such as Family Services, the ReStore, Accounting, and Development, at Habitat for Humanity. When you volunteer as an Office Assistant and help with day-to-day activities and special projects, you help Habitat accomplish so much more than we could without your support. As a Special Events Volunteer, you will be kept informed about the wide variety of Habitat events that benefit from extra hands. Past events have included an Evening with Habitat, Golf Tournament, a book tent sale, and the ReStore’s birthday celebration. Committee members are a critical part of organization. When you join a committee, you will help us select partner families, create our annual events, and help us design the ReStore mission wall. Columbia Habitat Young Professionals (CHYP) is a growing group of diverse young professionals who share resources, time and talents to make a difference in the Midlands community. CHYP is about having fun and making personal and professional connections throughout the Midlands, while helping to give hardworking, families in need of a decent, affordable place to live a chance to finally own a home. Visit the CHYP Facebook page for more information. The minimum age for volunteers on the build site is 16. However, we do have some youth-friendly volunteer days on the build site – these will be listed on the volunteer calendar. Habitat hosts groups starting at age 5 and teaches them how to build a safe, decent home for their bird friends. There is a small cost per person to cover the building material costs. Help raise money to fund Habitat for Humanity build projects! By donating your extra nickels (as well as pennies, dimes, quarters, and dollars), you help a family achieve their dream of owning a simple, decent house in a safe environment. Hold a ReStore DropSpot! A ReStore Dropspot is a site you select where individuals in your community can bring donated items such as furniture, appliances, and households items to one central location. The DropSpots can be held at community focal points such as churches, schools, businesses, stores, etc. The donations go to our ReStore where 96 cents of every dollar goes towards helping Habitat in the Midlands.